This is one of my favorite places for cuban food in Miami. I usual am not a big fan of tostones because if they are not prepared correctly, they can be dry. These however, were crispy on the outside and moist and delicious on the inside. The black beans and rice were well season and tasty. Like they had been cooking for hours. The bistec empanizado was crispy and delicious. 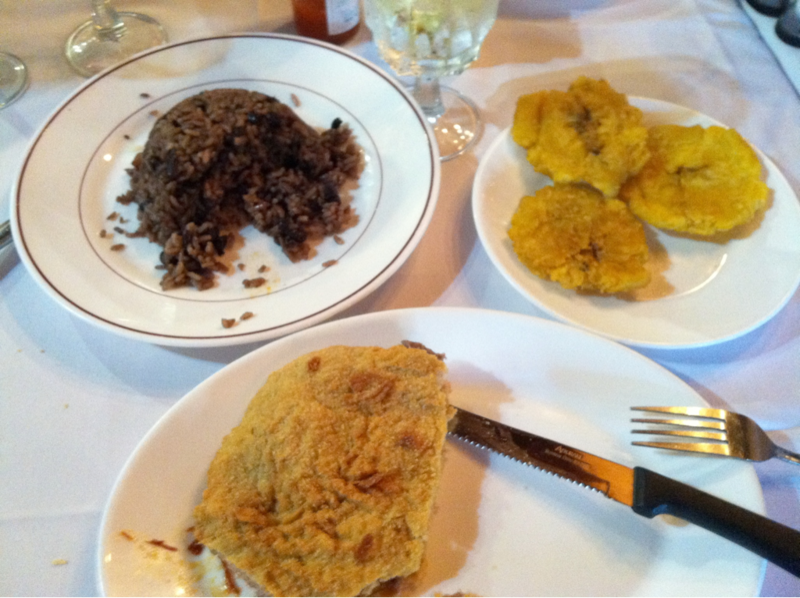 It truly satisfy that flavor of Cuban food that makes me think of my mom’s home cooking.